Neil Garside is the owner of the Andrews Boathouses archive and a former Andrews boatbuilder with over 50 years experience in the trade. 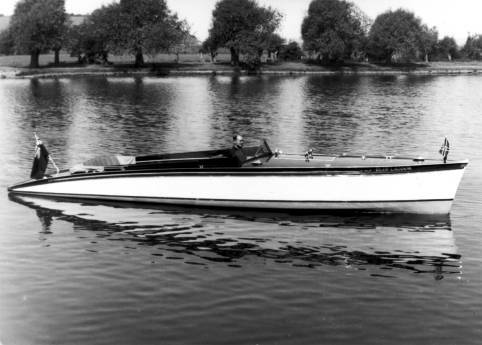 He has built & restored many different craft including slipper launches & day cruisers plus many other traditional craft. He played a major part in the restoration of "Alaska", the beautiful Thames steamer originally built in 1883, and today still plying her trade on the River Thames. Neil has been a judge for many years, including Chairman of Judges for a while, at the renowned Thames Traditional Boat Rally & Festival held at Henley-on-Thames every year. From the original leather-bound sales ledgers and other relevant information kept by Andrews Boathouses from 1925 to 1983, plus many other historical resources, we can provide you with the provenance of your Andrews boat researching its history from the day it was originally sold. The historical write-up includes details of the original sales invoice together with the history of your boat including her original name and tracing as many owners as possible to the present day. It also includes any special points of interest – sometimes these can be particularly intriguing! 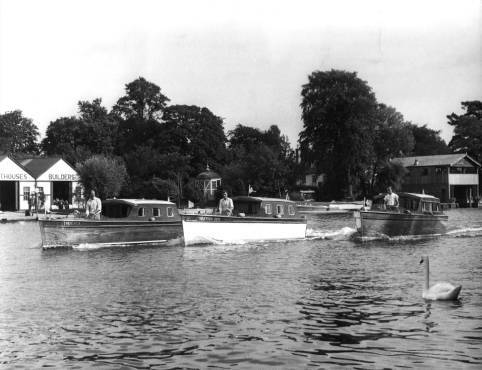 We will also provide details of the history of Andrews Boathouses & their contribution to the war effort in World War II. All provided in a presentation folder bearing the name and boat number of your boat. Manufacturer & supplier of original pattern Andrews boat fittings. We manufacture and supply a large range of boat fittings, plus other items suitable for Andrews launches, day cruisers and other traditional craft. These are cast in bronze or brass from original Andrews' yard patterns or are direct copies of original fittings. See Products page for full details.